History buffs get into the spirit of the season when they witness Washington crossing the Delaware River, a re-enactment staged on Christmas Day at Washington Crossing Historic Park in Bucks County. 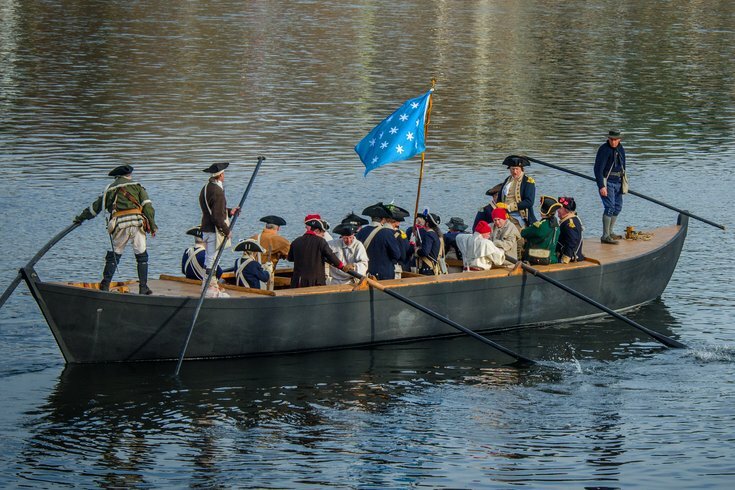 On Christmas Day, hundreds of reenactors will row across the Delaware River, just as Gen. George Washington and his army did on Dec. 25, 1776. The daring maneuver led to victory in the Battle of Trenton and altered the course of the American Revolutionary War. Each year, the annual event at Washington Crossing Historic Park in Bucks County draws a large crowd of families and history buffs. All of the reenactors will be in Continental military dress. The one acting as Washington will deliver an inspiring speech before the army sets out in replicas of the Durham boats used in 1776. The event is free to attend, and starts at 1 p.m. It's recommended that those who want to watch the reenactment arrive early to secure their spot along the river bank. If you can't make it to Washington Crossing, you can watch a live stream on YouTube below.